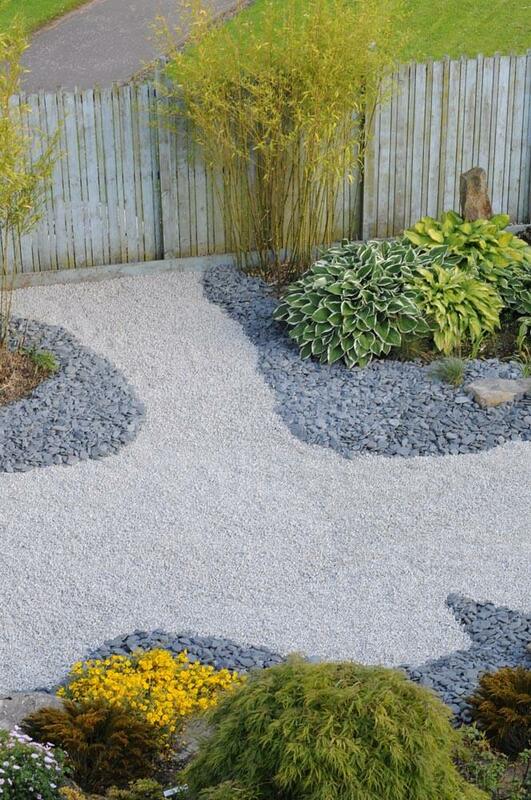 I created this garden using the principles of Japanese Garden Design. 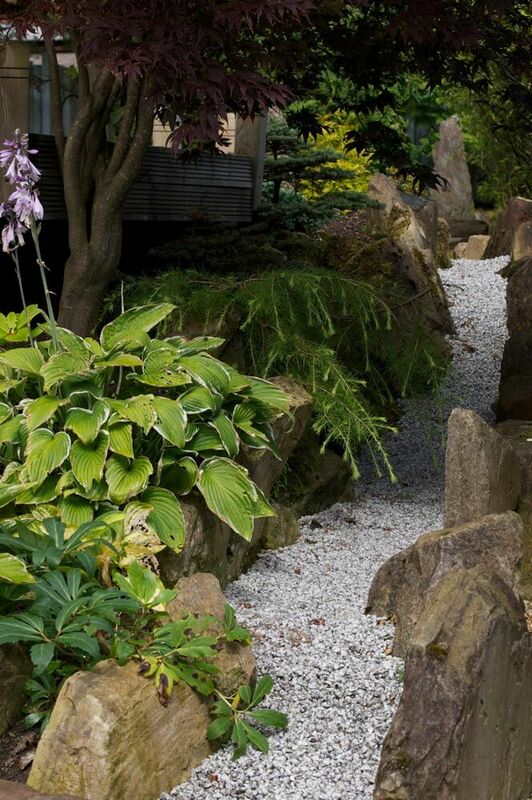 The client wanted a garden that would feel contemplative, dynamic and mysterious. 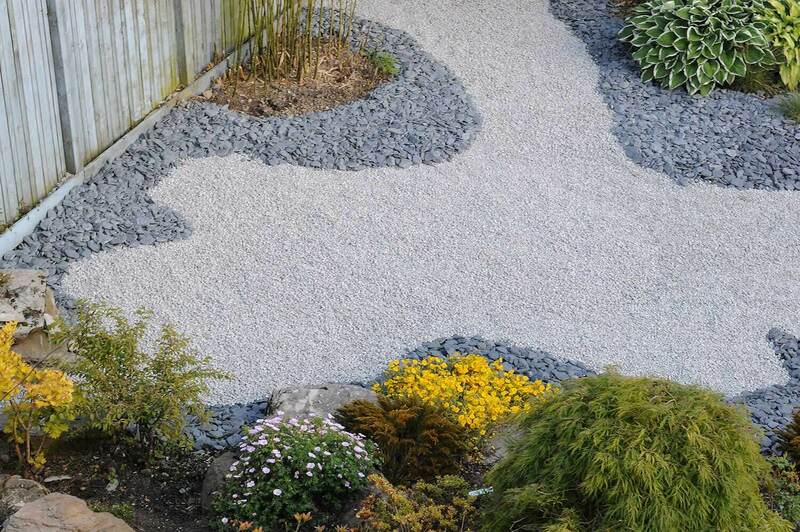 To achieve this, I combined stone, decorative gravel and plants in a way that created hidden corners and brought out the colour and texture of each element. 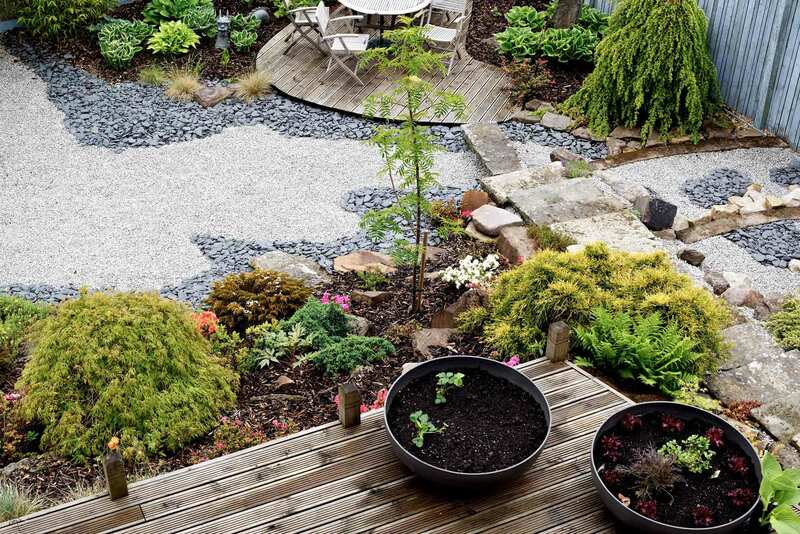 The garden was given a sense of both flow and stillness by using light and dark elements. 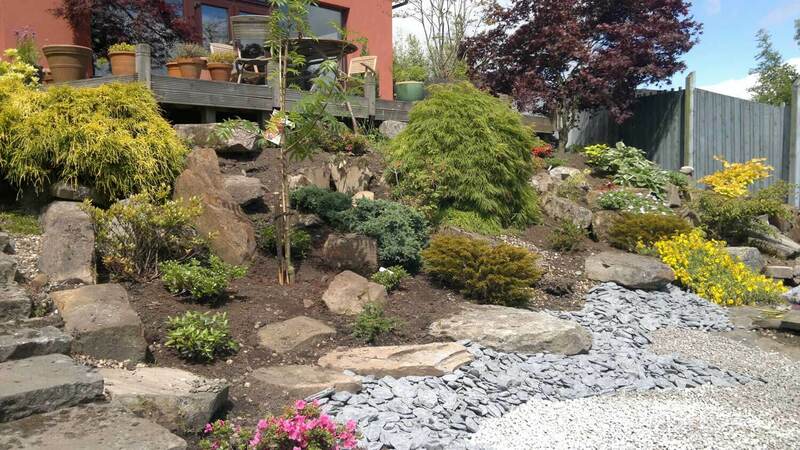 The planting was kept minimal with an emphasis on spring colour using dwarf Azaleas and year round interest was created with Hostas, grasses, bamboo, Hemerocallis, Rhododendrons and spring flowering bulbs.